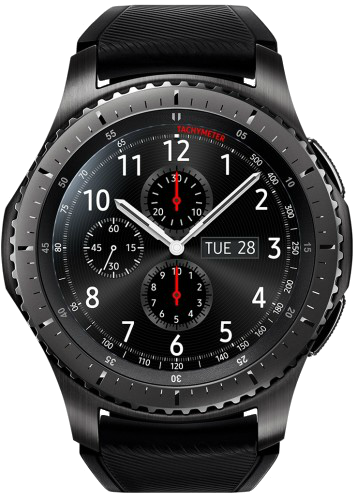 The long awaited official fix for the sudden battery drainage issue on Gear S3 and Gear Sport is finally here. Samsung is pushing out a new update to the Gear S3 with a changelog that clearly mentions a fix for the issue. The update is already available to download in the US and Europe. It should hit other markets over the next few days. The Gear S3 has had battery-related issues ever since the big Tizen 3.0 update last year. Samsung has been able to plug the holes up to a certain extent with subsequent updates. However, the problem returned last month, and this time, affected the Gear Sport as well. Although the real reason behind the issue wasn’t known, at least not officially, this temporary fix worked for many. Samsung has now released a permanent fix for the Gear S3, and says the issue occurred only when the watches were connected to certain smartphone models. A fix for the Gear Sport should follow soon. The new Gear S3 update also includes improved reliability when downloading apps from Galaxy Apps Store. The download size is 10.17 MB and brings software version R760XXU2CRK2 for the Gear S3 frontier. You should be able to download it from the About Gear » Update Gear software section in the Settings tab of the Galaxy Wearable (Samsung Gear) app on your phone. Do let us know if the update fixes your Gear S3’s battery issues. Live in sweden havent recieved the battery drain fix firmware. Got firmware for tizen 4.0 update but have still drain issue :/ with my frontier gear s3. So updating to tizen 4,0 does not help battery drain issue. No sure whta phones the update fixed but connected to my note 8 and I think the update as made the battery drain faster just getting over 12 hour after the fix where I got 22 before. Nope made my battery drain even worse. What about Gear S3 classic update ? It’s the same watch my friend. I think you’ll get it, but this is actually only relevant for a few smartphones. It’s not a universal fix. The updated Wearable plugin fixed the last problem for most people. In our Gear S3 G+ community, only a few people with particular models of phones have the problem. This fix is for them.